There Will Never Be a World-Wide Flood Again – But Was There Ever One in the First Place? Growing up in church we were all told the story of Noah and the ark. A way that God saved the one family he found to be righteous in a world of sinners and terrible people. Supposedly things were so bad that God wondered why he created mankind and came up with a plan to destroy all his creation other than Noah and his family. I accepted this story without question for many years. Yet when I actually sat and thought about the whole story I had questions and doubts, wondering if it was really a true and if so, why God would choose to do this terrible thing. I have come to find that many stories in the bible are just that, stories. I relate many of the old testament stories to the parables of Jesus in the new testament. Nothing wrong with stories, and just because they are stories in no way negates the truth and importance of the meaning behind the story. Stories and parables are used to make real life truths easier to understand. I have come to see the story of Noah and the ark as a shadow of things to come. It was a parable about Jesus coming to save the world and restore fellowship with the Creator. When we read in the bible that God is love, it is hard to make sense out of a story that the God of love would destroy people that he loves. We also know that our works are not what brings us into fellowship with the Father and whether we produce good works or bad works, our Father still loves us. So, to say God destroyed the earth because of evil works goes against the whole principle of salvation through grace. Many people will point to the story of the flood and use it to discredit God or to say there is no God at all. Others will say the story is in the bible and the bible is inerrant, so it happened just the way it is written. For me, I have come to terms that the written word is not inerrant. It is a collection of writings by human beings over many years, telling how they view God, how they try to live for God and how God deals with his creation. I have come to believe that the only inerrant Word of God is not a book but a person. Jesus is the Word of God and his Spirit lives within us. Rather than have a completely closed mind as to any other interpretation other than what we have been taught by religious institutions, we can let the Spirit of God within us teach us and we can learn to be open to new things under his guidance. Did the flood really happen? Was the earth completely covered with water and all life destroyed? I personally do not think so. God loves us and created us for fellowship with Him. Our works do not earn us anything with God because he loves us and accepts us unconditionally. Yet the flood did have real meaning. The sinful nature we had was washed away with the flood waters of his grace. Our unrighteous deeds were destroyed by the flood of his love. Jesus our ark made a way of escape so that we might live in his Kingdom for the rest of our existence, enjoying his presence and his love within us. Several of my past articles have mentioned modern day church and how it is off base from what it was intended. I want to make clear that I am not against church, but I also want to make clear what I mean when I say church. Normally when the word church is mentioned, we think of a building we go to on a certain day to learn about and worship God. We also think in terms of how much we go to church as being a guide to how spiritual we are, or how close we are to God. We think of the doctrines, rules and regulations placed on us by the church as ways to make us better Christians. I think we need to reset our thinking. The Church is not a building. The Church is the bride of Christ, all of us who are saved by grace. We are the temple of the Holy Spirit. The building is just a place where we can meet and conduct spiritual meetings. It is another place to enjoy christian fellowship. Rather than see church as a place we go, we are to be the Church daily living under the guidance of the Holy Spirit and showing the love of God to all people. Another area where we confuse the meaning of words is in regard to the word of God. When we talk about the word of God we usually think of the Bible. The Bible is inspired by God, but the true living Word of God is Jesus. In the beginning was the Word, and the Word was with God and the Word was God. Jesus is the Word of God. Far to often we christians put too much emphasis on the Bible, sometimes even thinking of it as part of the trinity. Remember it is not Father, Son and Holy Bible. 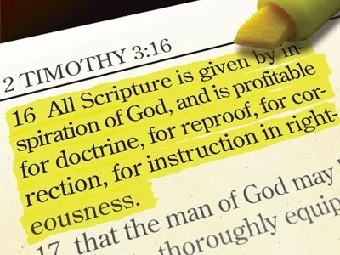 Again, the Bible is written by men but is given by inspiration of God and is profitable for doctrine, for reproof, for correction, for instruction in righteousness. It is certainly profitable to read the Bible under the guidance of the Holy Spirit, but we need to focus on the fact that the Word of God is alive and living within each of us as followers of Christ. Although it may seem unimportant on how we think of church or the Bible, I think it is very important that we understand what is really meant. The old mindset of a building and a book need to be replaced with the fact that the Church are those of us who are redeemed through the blood of Christ and the Word of God is Christ Himself, alive and living within us. It is amazing to me the variety of voices and views there are in the christian world vying for our attention. Everyone has their own views and interpretations. I think we can learn something from everyone. Whether it is something new, a better way of doing things, a different way of thinking or just realizing we do not agree with what we hear and it bolsters our own faith. The problem is that everyone has an opinion. That does not mean everyone is right or wrong. God works in each of us in different ways and what may be right for one person is not right for another. We need to seek the guidance of the Holy Spirit each day, listen for his voice and ask that He will lead us into truth. God will speak and lead us through the Spirit, through the bible and through words spoken from fellow believers. The bible says his sheep know his voice so we need to be sure we are hearing from him, yet we can be assured we can know his voice. Our relationship with the Father is a day by day experience. What we know and understand today may be completely different from what we believed when we were younger. What we believe today will probably change in the future. God leads us into His truth in His timing as we are ready and open to it. Our goal is to daily seek the guidance of God through the Spirit and seek His truth. To many of us want to put our focus on a man, a popular evangelist or pastor. Obviously, we can learn from listening to others views and opinions but when we focus on people we can get off track and confused very easily. Everyone has a different opinion. You can listen to one person or group and hear what they think is the truth, then find another person or group who has a completely different take on the same subject. Putting our trust in people and their opinions often leads to fighting and arguing. Many times, when we have been shown something or led in a particular way we expect everyone to see it our way and to believe the same thing. The only way to get past all the different views and opinions is to focus on Christ. He will teach us and lead us into the truth. That is not to say we are all going to think and feel the same way on everything. God deals with us personally and in different ways and as followers of Jesus there are many different paths we will walk throughout this life. We need to remember that the Spirit speaks from within us, he speaks to us from the written word and he can speak to us through other people. 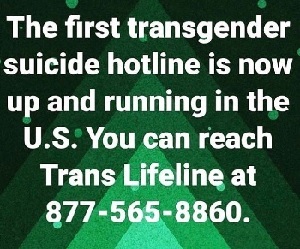 We need to be sure we are hearing his voice and know he does not always speak the same way and does not always have the same life experiences for everyone. It is time we become followers of Jesus and stop being followers of men. Nothing wrong with listening and hearing the views of others, but take it as that. It is their view and opinion. Only Jesus is the one to follow and to be our everything. Growing up in the organized church, we were taught from a young age that the Holy Spirit came to reside within us once we accepted the grace of Christ. Many times in the written word of God we are told that we are the temple of the Holy Spirit, the Spirit lives within us and we have no need that any man teach us. 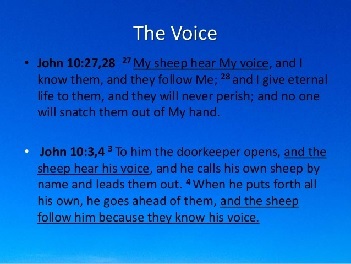 Jesus said that his sheep hear his voice, yet most of us were taught that the voice really means the words written in the bible. We have heard it said that if it is not in the bible it is not of God. We are told God only speaks through the written word, yet there are so many interpretations, various doctrines and so many verses that were written to a specific person or group of persons. These writings were often for a specific time period that no longer relates directly to us except as an example to learn about the nature of God. I feel so much has been lost over the many years from when the original writings were done. So many of the translations have changed the original meanings because of changes in times, word meanings and such. Without the Spirit bringing to life the words we read and through confirmation through his voice within, we are really left to our personal views and opinions of what others have told us the written word means. The bible is not God and it is not a god. The bible was inspired by an infallible God yet written by very fallible men, men who were inspired yet wrote with their personal views and ways of writing. The bible is about people trying to find, follow and fellowship with God and clearly teaches us how to do that. The written word leads us to the Living Word, who is the Christ. So many times it is mentioned that the Spirit now lives within us. Yet so often, even though we say it, we do not act like we really believe it. Time and time again the bible says we are the temple of the Holy Spirit, we have the mind of Christ, the Spirit and the Kingdom are within you. And time and time again we seem to go right on thinking God is far away from us and all we can do is read from his word. Sure, there are many people who say they speak from God and yet are nowhere close to being a godly example. It is easy to say God told me this or that, or say God told me to tell you something yet the person saying such things is only going on their personal feelings and interpretations. Anyone can say God told them this or that and expect us to do what they say, but we need to listen to the Spirit for ourselves and listen for the confirmation from within as to what is of God and what is not. I believe if God says the Spirit lives within us and we can hear his voice, then it is something not to be taken lightly. As followers of Christ we can rely on the Spirit within us to teach us and guide us into his truth. We have to be listening and open to God to know his voice, but we can hear it and know it is from our Father. To say that we can only hear from God through the written word is to miss a more intimate fellowship with our Father. Is the bible to be ignored? Are we to stop reading the written word and only follow what we feel is the voice of the Spirit. No, both the written word and the Living Word that lives within us are important, The written word is inspired by God and profitable for teaching, for reproof, for correction, for training in righteousness. Yet without the Living Word bringing those words to life, it is just a book that is good for teaching and learning. We need to be listening for the quiet voice of the Spirit of Christ who actually lives within us for truth and guidance. Sometimes he will speak directly in our spirits, sometimes he will speak through his written word. Also remember that God is alive and his Spirit is within us. Do not think that He can only speak through one particular means. Just do not jump at every voice you hear, make sure it is the voice of His Spirit. 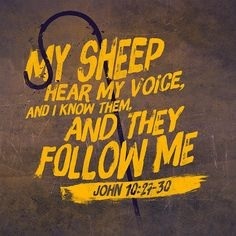 His sheep hear his voice, which to me says we can hear and know it is from our Father. Obviously this is not to say that you should immediately react to any thought that pops into your head. Although the bible says we have the mind of Christ we also have the mind of Jim, or Sam or Jane. We are still human and need to be sure we are hearing from the Spirit of Christ and not our natural spirit. We also know that the Spirit can speak to one person one way and another person in a different way. Just because the Spirit is speaking to me does not mean he is telling you the same thing. Just because I hear the Spirit say something to me does not mean it is something that has to be announced to everyone. 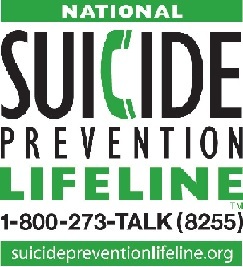 It may be that he is speaking to me for something I need to do or learn and it is not meant for others to hear. We are told the Spirit lives within us and that his sheep hear his voice, so we know we can hear and know the voice of God. So many of us have the thought that God is way up in heaven somewhere and all we can do is read his word or listen to pastors to know what he wants us to do. The truth is his word says that he lives within us through the Spirit and he speaks to us through the Spirit. Just as we think of the church as a building with an organized program, it is so much more than that. The Church is a community of people daily following the Spirit and living within the kingdom of God during our life now. We also think of the word of God as a book, yet the true and living Word of God is so much more than that. Jesus is the Living Word of God and we can hear the voice of the Spirit which is within us. We can hear his voice through the written word also, but keep in mind that God speaks in more ways than one. The Word of God – Book or Person? Growing up in the church I learned quickly that the Bible was the word of God and that God spoke to us through his word. Everything had go along with the Bible or it was not of God. I often wondered how a book written by many different people over many years, and in a time period so different from our own could be inerrant and the only way God communicated. My personal belief is that the written word of God, which we call the Bible is God-breathed and useful for teaching, rebuking, correcting and training in righteousness, as mentioned in 2 Timothy 3:16. Yet while reading some of the sermon on the mount in Matthew 5:21 to 44, we listen to Jesus as he speaks to the crowds. Many times he says “you have heard it said” then mentions a verse from the written word. Each time he follows this with “but I say unto you” and follows with his words of advice. To me this says that Jesus, who is the living, inerrant Word of God has final authority over any written word which we call the bible. And remember Jesus spoke these words before the New Testament of our Bible was even written. We read in John 1:1, in the beginning was the Word and the Word was with God and the Word was God. Again in John 1:14 we read ‘The Word became flesh and made his dwelling among us. We have seen his glory, the glory of the one and only Son, who came from the Father, full of grace and truth’. The written words of the Bible did not become flesh and dwell among us, only Jesus fulfilled that verse. And in Revelation 19:13 He is clothed with a robe dipped in blood, and His name is called The Word of God. For me, I believe the Bible is inspired by God, written by men and useful for leading us to the living, inerrant Word of God who is Jesus. I am certainly not saying we should not read the Bible, but we should not elevate the Bible to a position of authority which matches that of Jesus. We are not to worship the Bible, nor are we to disregard the leading and teaching of the Holy Spirit who lives within us. He will guide us into all truth. 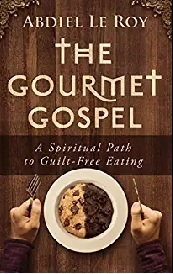 I grew up in the traditional church environment and followed the religious teachings and doctrines over the years. I have seen a lot of things that I now question and wonder why things were done that way. Over the years many of us have come to see God as a big super human person sitting up in heaven somewhere just waiting to punish us for our mistakes. We see him as being impersonal, judgmental and many times as someone to fear. Yet when we think about the life of Christ and know he was sent from God to show us what the Father is really like we come to see God in a different way. When we read about how Jesus lived and treated people we see him as loving, compassionate, kind and accepting. Jesus came to show us that the Father is the same way. 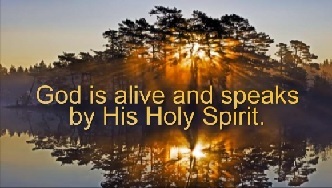 After Jesus left this life on earth the Father sent the Holy Spirit to live within us. Think about it, God in Spirit form lives within us and among us right now. He is not a super human person way up there somewhere but He is right here within us. God is not out to get us and punish us every time we mess up. I think God gets a bad reputation from some of the writings in the bible due to men, although they were inspired by God, threw in some of their personal views. Obviously if you were inspired by someone to write a book you would still write it from your perspective. Anything man has a hand in is going to be flawed, but the bible is certainly inspired by God and when combined with the leading of the Holy Spirit will be purposeful for teaching, for reproof, for correction, for training in righteousness and guiding us to the living Word of God who is Jesus. Rather than running around being afraid of God and waiting for the judgment of God to fall, look to Jesus and see that God is love. Whenever punishment is needed it is only for our good and it is done in love. Just as a loving parent sometimes punishes their child it is done in love and for correction that is for the child’s own good. We are not waiting to be destroyed by a God who loves judgment and condemnation. We are living with a God who is love, who created us and who wants the best for us during our time on earth. Stop being afraid of the Father and seek fellowship with him. If you hear a pastor telling you that God is out to get you and that you had better shape up or else, get away from there and find brothers and sisters in Christ who will be encouragers and who will help build you up rather than condemn and scare you. Fear of judgment will not lead you into a loving relationship with the Father. Only true love, godly love, will be what draws us into fellowship with Him.